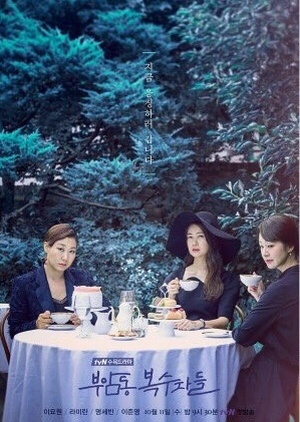 Features three women from different walks of life coming together for revenge: a fish store ajumma who envisioned a better life for herself, a housewife who grew up an orphan, and a chaebol’s daughter who was raised like a delicate greenhouse flower. They’re an unlikely trio who would never otherwise meet, but they join forces to carry out their individual revenges. Although they start out as co-conspirators, along the way they’ll builda strong friendship.